Links Sudoku to their everyday mathematics. 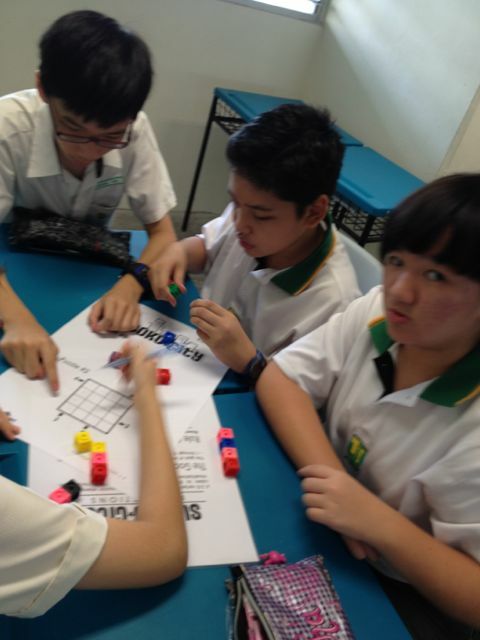 Helps students relate Sudoku concepts back to the mathematics they have learnt during normal curriculum and see that learning of mathematics can be fun. Exercises the brain, helps develop logical reasoning and provides a sense of achievement. Sudoku is a logic-based, combinatorial number-placement puzzle where the objective is to fill a partially completed 9x9 puzzle with numbers so that each column, each row and each of the 3x3 grids that composes the puzzle contains all the numbers from 1 to 9. Provides a platform for students to learn logic skills while playing the Sudoku puzzles and a few of its variants. 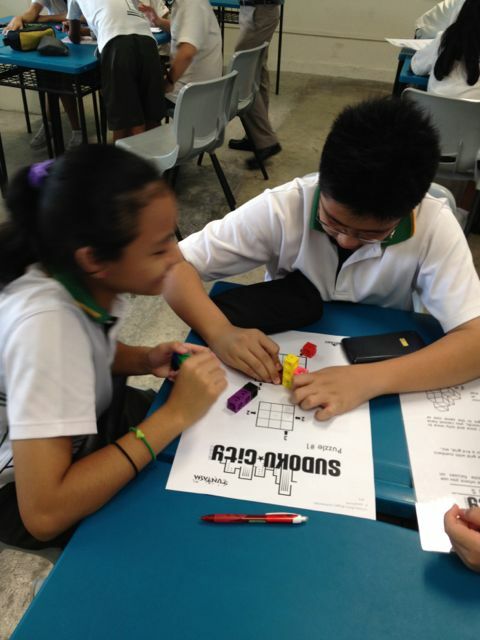 Although no mathematics is needed to complete the traditional Sudoku puzzles, some mathematical concepts have been infused to some of the variants found in the programme.